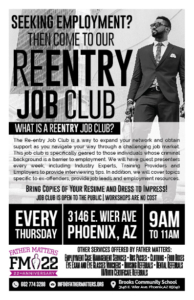 WHAT IS A ReEntry JOB CLUB? 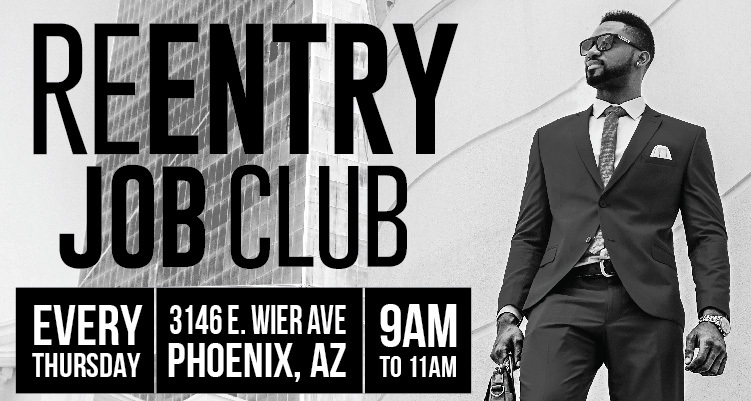 The Re-entry Job Club is a way to expand your network and obtain support as you navigate your way through a challenging job market. This job club is specifically geared to those individuals whose criminal background is a barrier to employment. We will have guest presenters every week, including Industry Experts, Training Providers and Employers to provide interviewing tips. In addition, we will cover topics specific to ex-offenders, provide job leads and employment resources. Bring Copies of Your Resume and Dress to Impress! JOB CLUB IS OPEN TO THE PUBLIC.